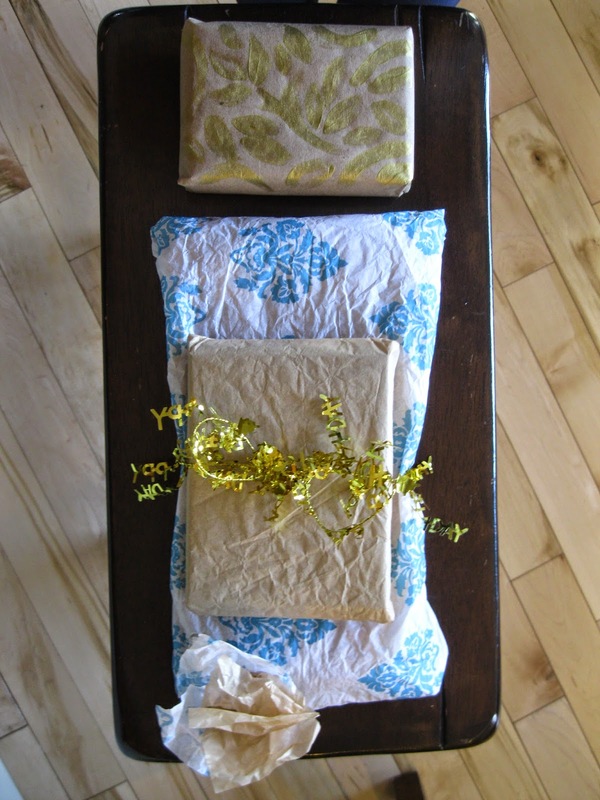 In years past, I've stuck with the classic re-using an old gift bag when wrapping my holiday gifts. 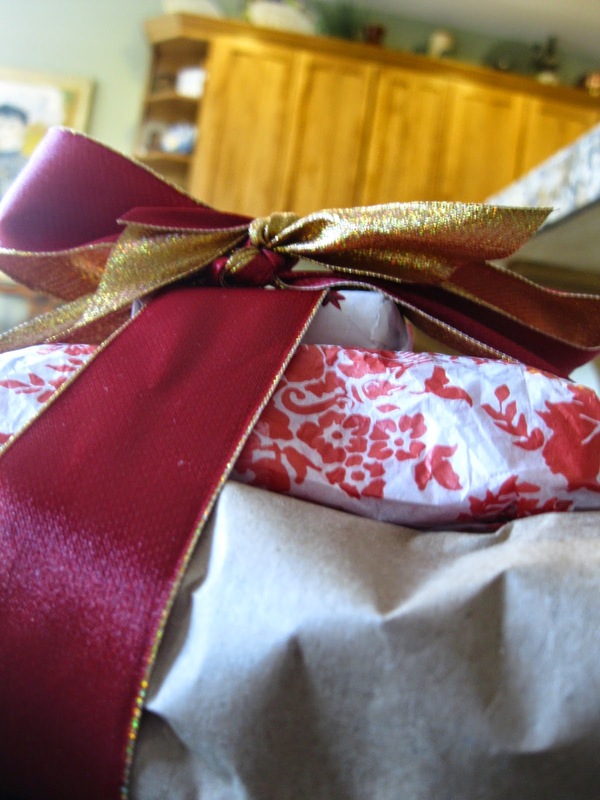 This year, however, I found myself with nothing to do in the weeks before the holidays, and thus decided to take some creative liberties while wrapping my holiday presents. 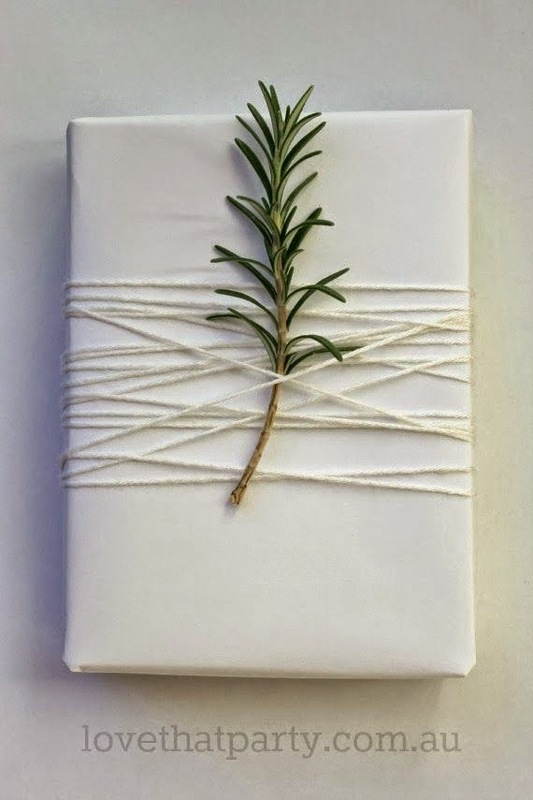 Tie a sprig of evergreen to add some classic festivity to your gift. 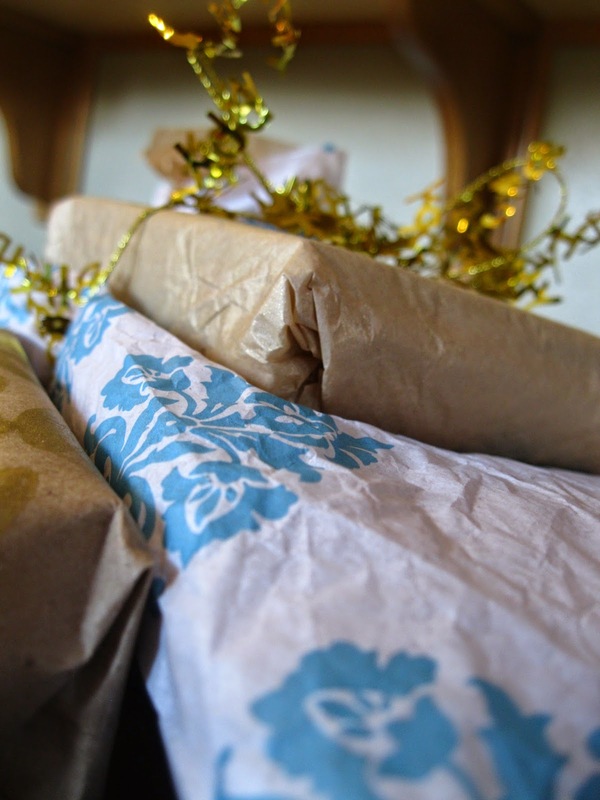 Make your own wrapping paper with a cute word or phrase. 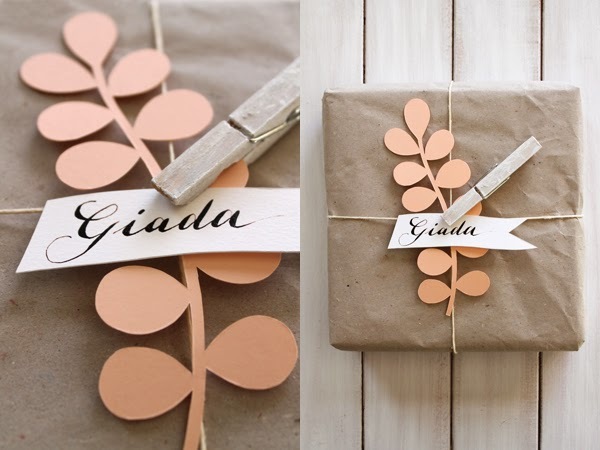 Download and print these adorable and unique gift tags. 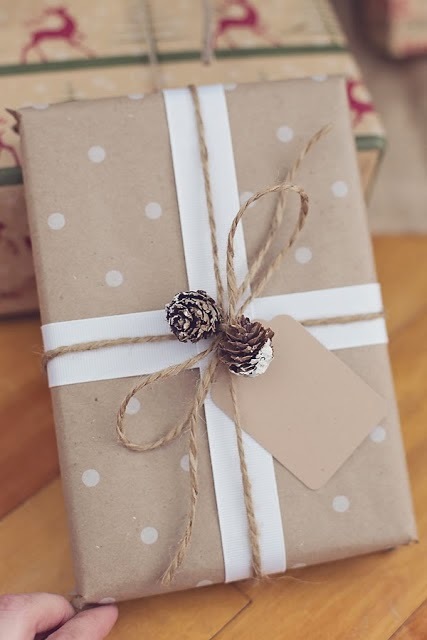 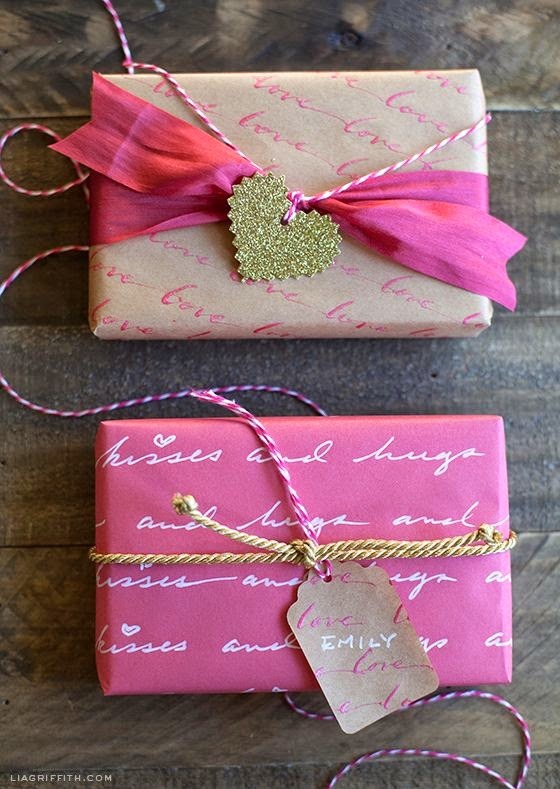 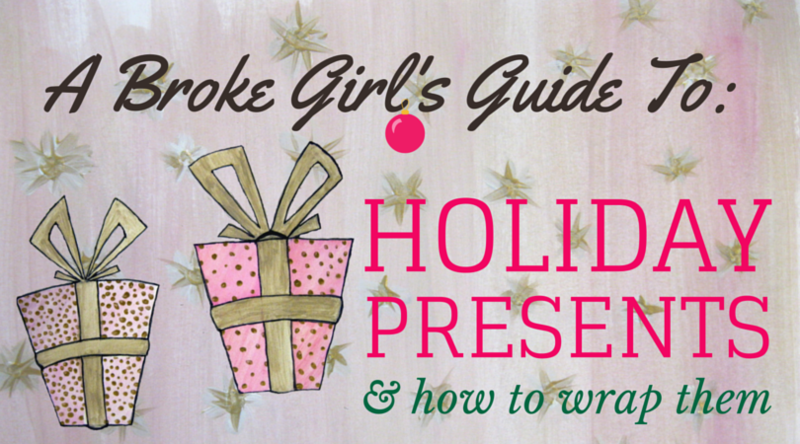 Wrap multiple gifts with a cute color scheme. 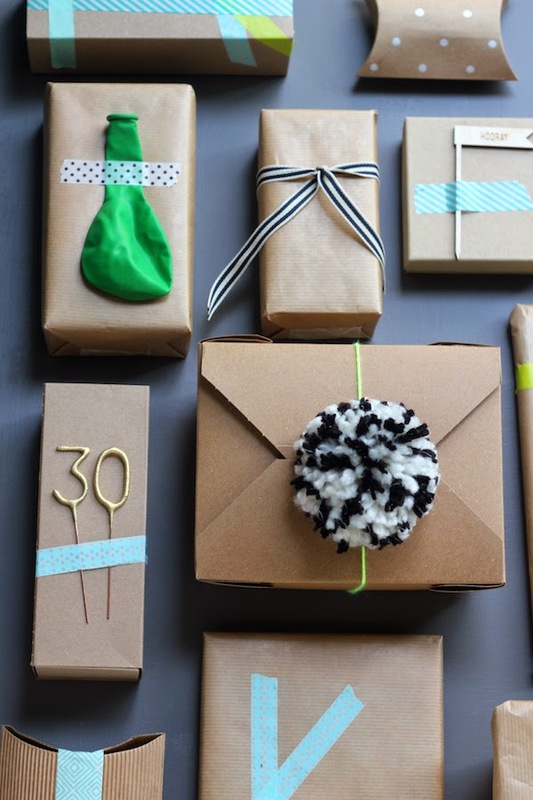 Use a clothespin to attach your gift tag to the gift. 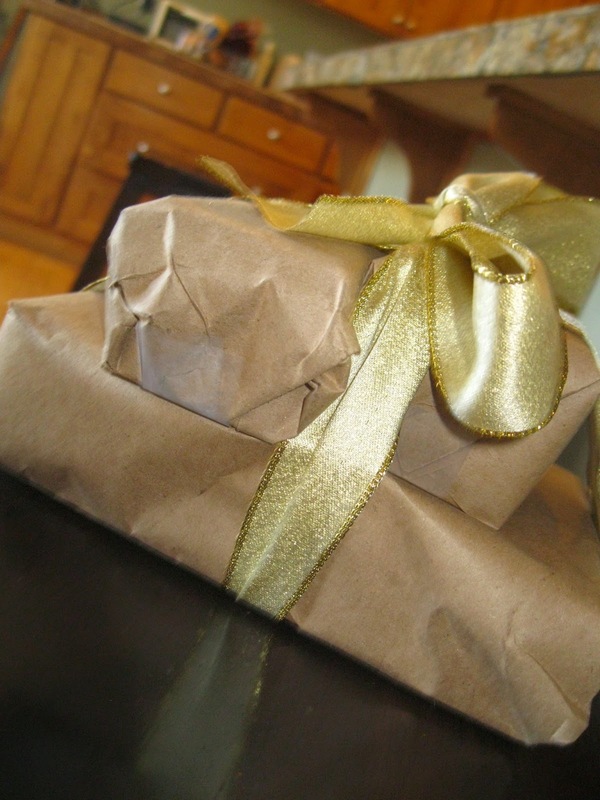 Go simple and rustic and attach a cute little trinket to the gift. 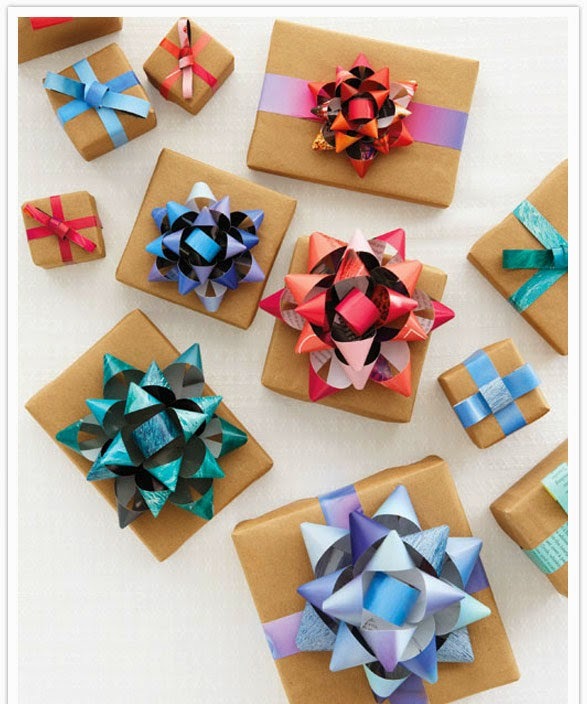 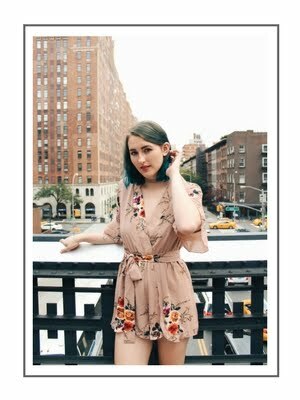 Make your own gift bow!